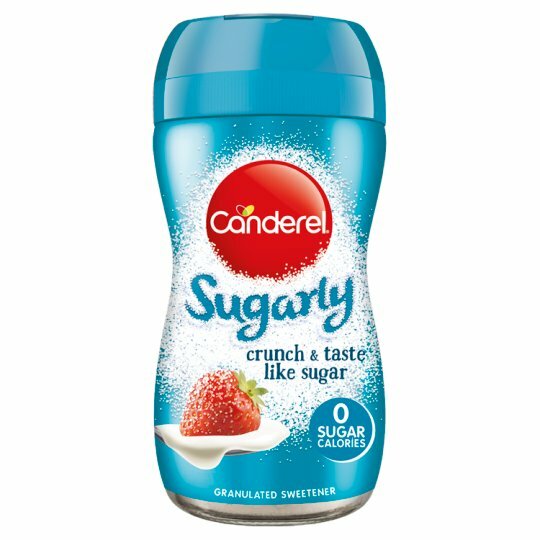 Canderel Sugarly is a zero calorie sweetener that tastes like sugar, looks like sugar and feels like sugar. So you can enjoy a delicious sweet taste but without all of the calories of sugar. Excess consumption may produce laxative effects. Store in a cool dry place., Best Before end date: see base of jar. Canderel Sugarly can be sprinkled on fruit and cereals, used in hot drinks or in cooking and baking.